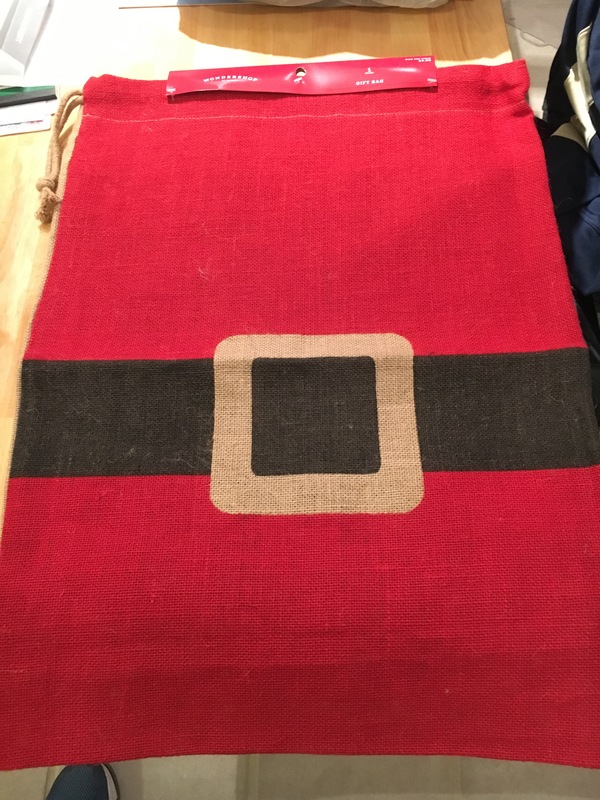 On Christmas morning I quickly realized that I needed Santa sacks, so no one could “peek” at what Santa brought before everyone else got out of bed. 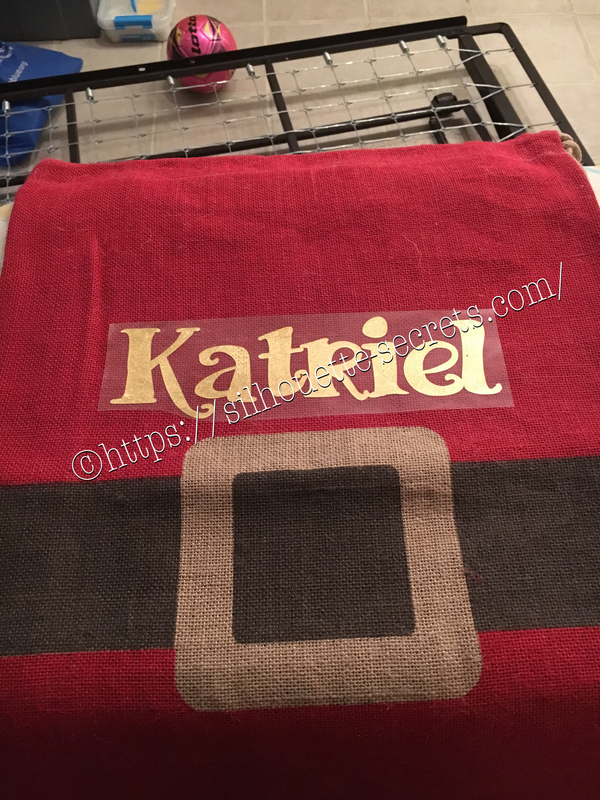 While shopping in the Target Christmas clearance the day after Christmas, I happened on these burlap sacks. I quickly sprang into action…. Grabbed 3 of them and headed home. There was some HTV that would be great on these. 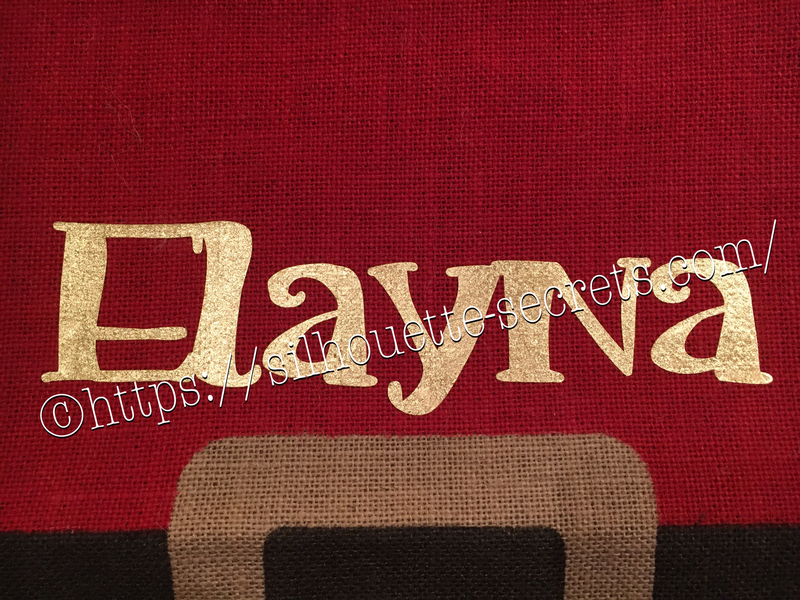 I found some gold foil HTV in my sample stash and set to creating the names in the Studio. Just as a reminder…. always mirror your image when using HTV or you will end up wasting a bit of vinyl. Eventually, I will get a heat press, but for now, my iron works with my teflon sheet. 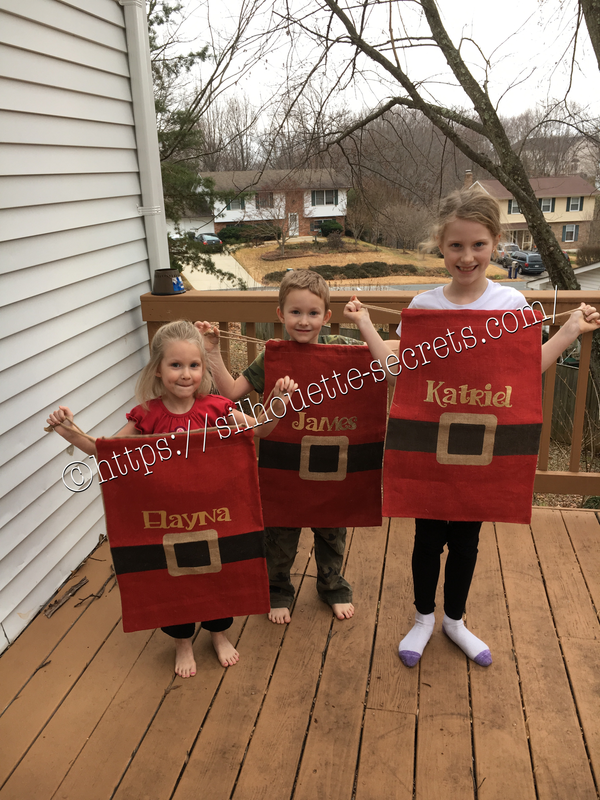 The kids all enjoyed modeling their new Santa sacks for next year.